Where do I define Glove Class in PTW-ArcFault study similar to the PPE table? 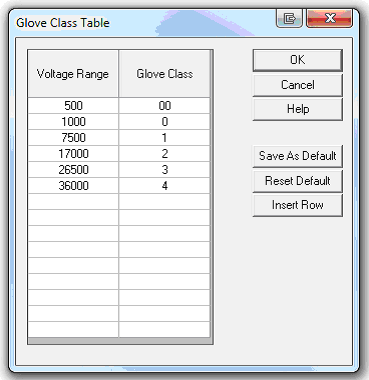 Glove Class is based on the voltage level. 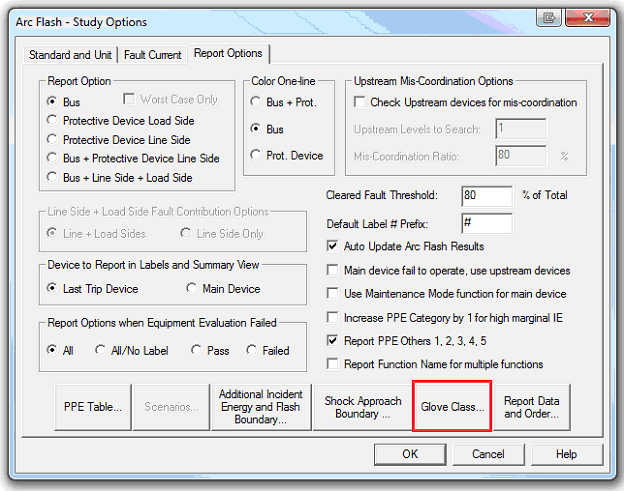 The below Glove Class table comes from ASTM D 120-95.